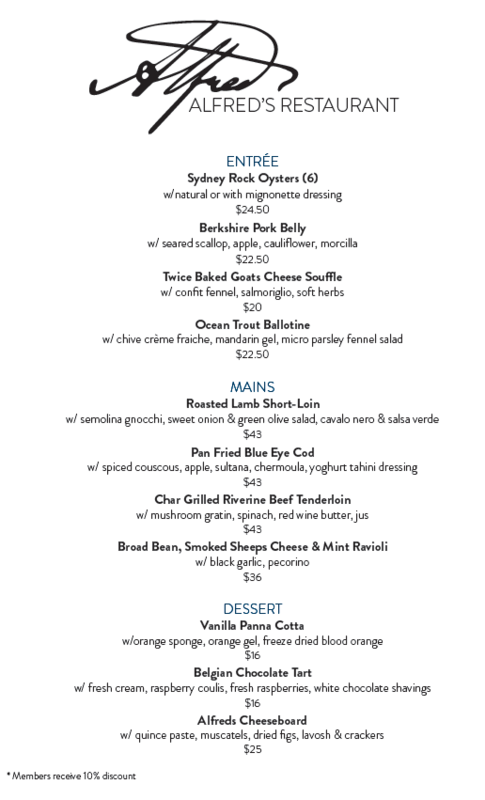 Join us for a la carte dining at Alfred's Restaurant, with our new Head Chef Michael Roper, when we open for lunch and dinner in the Admirals Cup Room over the Sail Expo weekend from 6pm Friday 26 April, 2019. Pass onto family, friends & crew - membership special, save $825 when joining over the Pittwater Sail Expo weekend. Visit the membership table at Sail Expo for details. Happy & Safe Easter to all! Wishing all RPAYC Members and their families a very happy and safe Easter. Halyards Bistro will be open for breakfast and lunch from Easter Saturday - Easter Monday, (closed Good Friday) so please drop in for a coffee or bite to eat! The Young 88 Class Pittwater Regatta 2019 has concluded with 6 races being completed over the fantastic 2 day event. RPA’s Brian Ellis and his crew onboard VENUE took 1st on PHS and won the ‘Chinnock Trophy’ whilst fellow RPA Sailor Simon Grosser ( YOUNG AT HEART) and Team were first on scratch and recorded an impressive score of 1,1,2,(3),2,1, with their name being inscribed on the ‘Gunga Din Sword’ as the scratch winner. 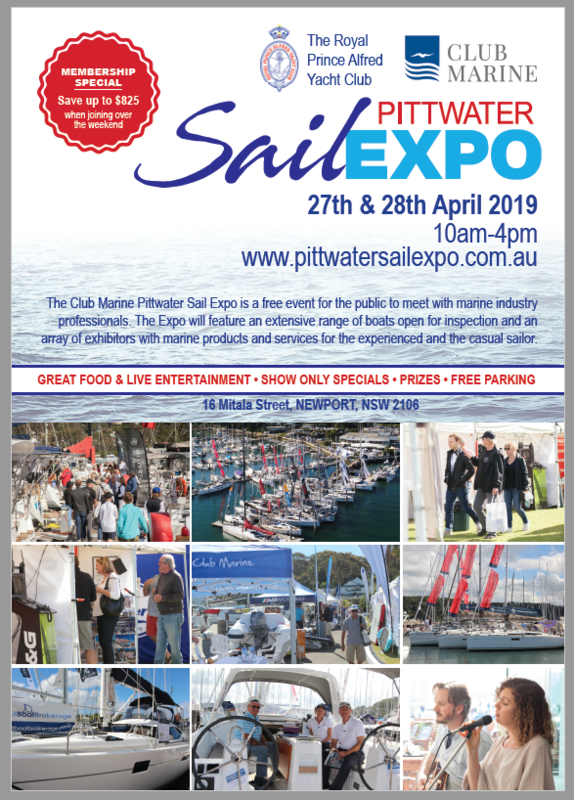 Your Club is hosting the Annual Club Marine Pittwater Sail Expo on the weekend of 27th-28th April and we seek your assistance with parking for members and visitors over the weekend. We anticipate another successful Sail Expo weekend with 1,800-2,000 visitors and the Club is also running a SOP’s race on Saturday. 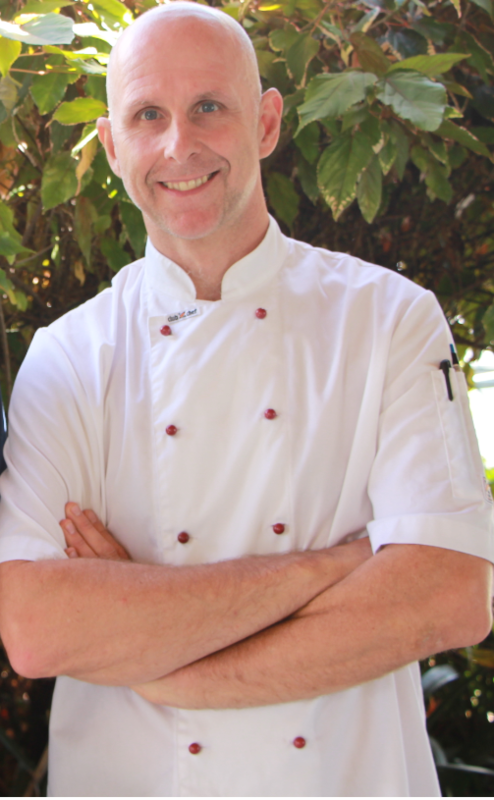 In addition, our new Head Chef, Michael Roper, will showcase his talent with an a-la-carte pop-up restaurant; Alfred’s Restaurant will be open for dinner on Friday and both lunch and dinner on Saturday and Sunday. For more casual dining, Halyards will also be open. Members not park in the lower or middle car park overnight on Friday 26th, Saturday 27th or Sunday 28th April. Unless you are volunteering at Sail Expo, visiting the event or sailing in the offshore race on Saturday, please park your vehicle on the top level or in the Crystal Bay car park. If you regularly keep your car parked in the lower, middle or top car park, please park it at the Crystal Bay car park over the weekend. If you are going away for an extended period over Easter and your vehicle will be onsite over the Sail Expo weekend, please park your vehicle at the Crystal Bay car park. The annual ‘Old Timers’ Race with an 'Old Timer' Member at the helm, got off in a 6 knot westerly and was quite a sight with 26 boats on the start line (some a little too close). Pittwater played its usual trick between Long Nose & Soldiers Point with an East/Westerly blowing, keeping everyone second guessing their decisions. Pretty Woman took advantage of having the tallest mast in the fleet and managed to connect the dots well enough to take both Line Honours and Handicap Wins. Everyone then returned to the club for the Luncheon which saw 138 Members exchange tails and enjoy Club comradeship. A highlight was the fillet steak overseen by our new head chef who is already winning hearts through peoples stomachs. The hostly contentested and sometimes trivial 'Old Timers Quiz' was this year won by Team Leeroy Brown, by a rather large margin of 29 points. The joint wooden spoon of Trivia who shall remain nameless, both finished on 9 points and earned a commissary beverage.